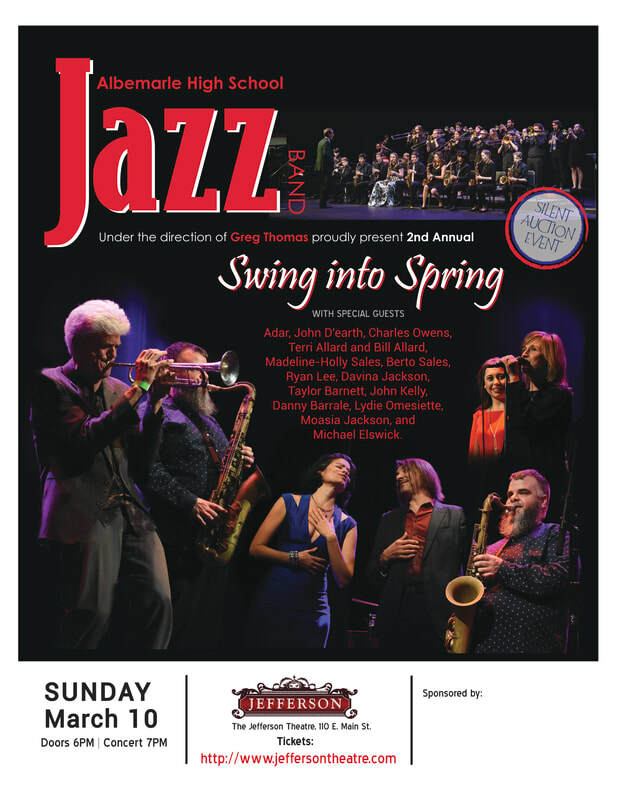 Jefferson School Jazz Event: Help The Albemarle High School Band! We are fundraising to send the band to a fantastic event in Savannah, GA. These talented young musicians are one of the best high school bands in the country. They will travel to Georgia to compete with other top bands in the country. This will be the second year they have done this specific event and also, the travel to Savannah. The reports from the concert last year are amazing! Do you have something you can contribute for a silent auction item? Would you like to make a cash donation? These kids are amazing! Come to the Concert! Support our young TALENT! ​It's FUN! Buy Tickets Here. Submit your name, email, phone number and item/cash amount and I will be touch with you.